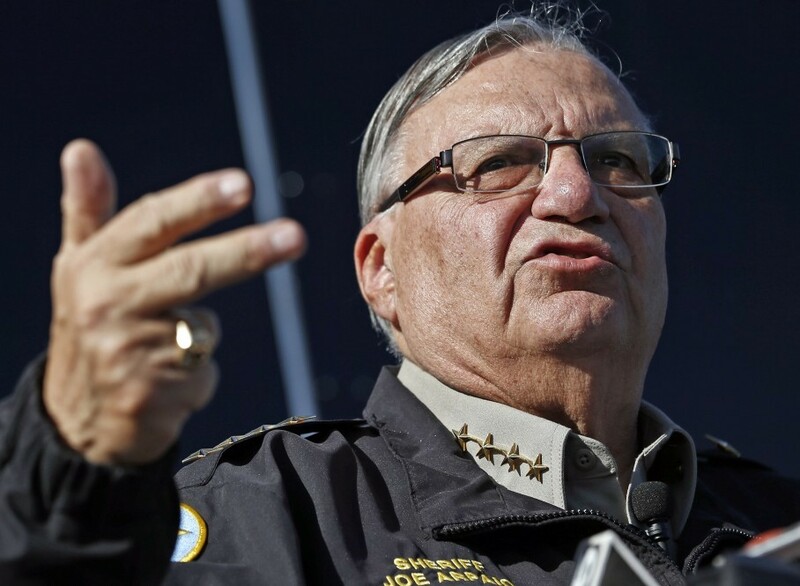 PHOENIX—Sheriff Joe Arpaio, who could soon lose his job and maybe even his freedom, believes he is the victim of an active and ongoing “conspiracy” by the Obama administration and the mainstream media to undermine him and his friend Donald Trump. The chief lawman in Maricopa County, which includes the Phoenix metropolitan area, became a national figure over the past 24 years with a hard-line stance on illegal immigration that critics call racist. He is also famous for making his inmates live in a “tent city” and wear pink underwear. And he’s been under one legal cloud or another for years now. On Tuesday, Arpaio was formally charged with criminal contempt of court. The federal government accuses him of willfully disobeying a judge’s order in a racial profiling case to stop targeting Latino drivers. The 84-year-old, who leads the third largest sheriff’s department in the country and has 4,000 staff, faces up to six months behind bars if convicted. 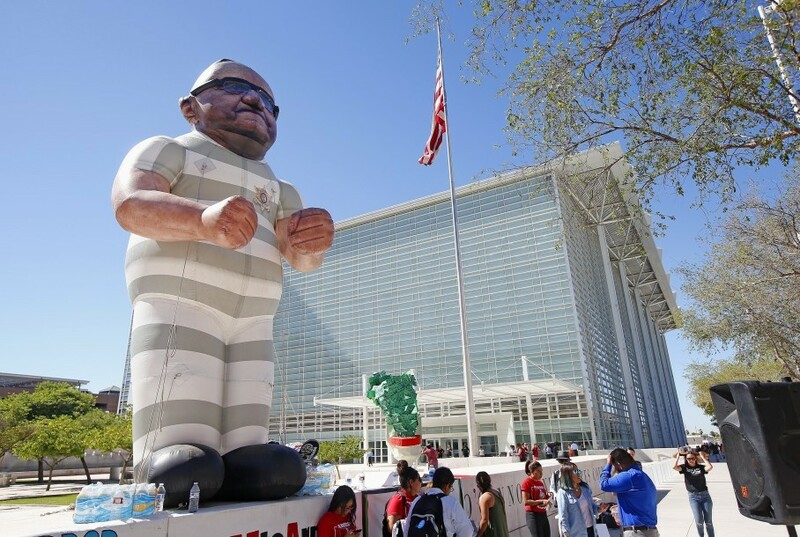 Arpaio already had a tough fight on his hands for a seventh, four-year term. He trailed by 15 points in an Arizona Republic poll published last week. He garnered just 31 percent of the vote, and 53 percent of likely voters viewed him unfavorably. Long a bogeyman in the Latino community, he has awakened a legion of immigrants who have never been active in politics before. Hundreds have poured in from out of state to work against him. “Sheriff Joe,” as supporters and detractors alike refer to him, was one of Trump’s earliest and biggest boosters. He continues to be among the Republican nominee’s staunchest defenders and most willing surrogates, which could become problematic now that the race in Arizona has become a true toss-up. Or, perhaps, it is part of the explanation for why the presidential contest in this red state got so tight. The sheriff spoke with me for 100 minutes, in between afternoon appearances on the Fox Business Network, at a remote television studio. He said he agreed to do the TV hits because “my buddy Lou Dobbs asked.” His celebrity and ubiquity on right-wing news sites and cable allowed him to raise about $12.5 million this year, mostly in small dollars and via direct mail. 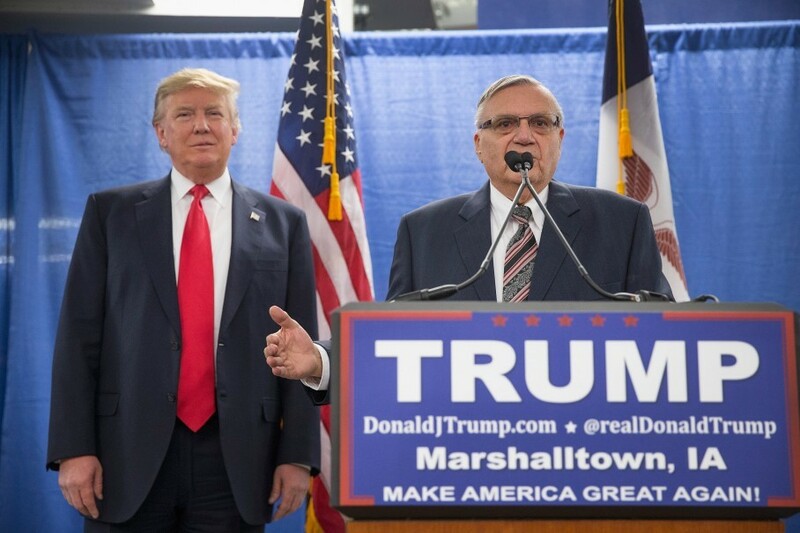 “Trump’s a fighter,” Arpaio added. “He’s not going to take this stuff. That’s his personality. He’s got to fight back and defend himself. He’ll defend our country the same way. … That’s what they fear. They fear me because they know when I say I’m going to do something … I never back down or retract. That’s the same way, I believe, he is.” He did not specify who he meant by they. They’ve got 32 offices and 160 staff. Trump has none. Manager Robby Mook said last week that they’ll spend $2 million on TV advertising in the state. Trump is not on the air. The Republic, which has not endorsed a Democrat for 120 years, supports Clinton. The paper’s poll, conducted with Arizona State University, has Clinton leading by five points statewide. John McCain, who is up for reelection to the Senate, rescinded his Trump endorsement three weeks ago. In a state where two-thirds of ballots will probably be cast by Election Day, registered Democrats are outpacing Republicans in early voting (a reversal from 2012). 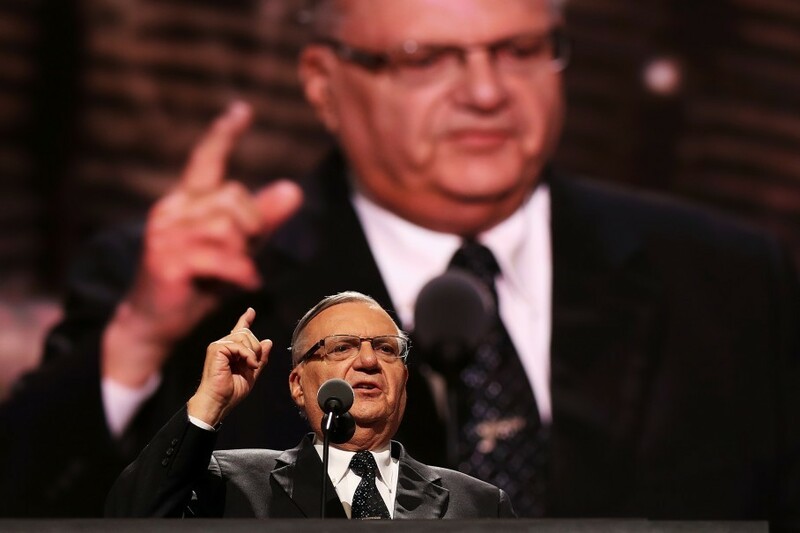 Arpaio, for his part, is running against both Clinton and Barack Obama in a closing television commercial. An ad responding to the contempt charge notes that the Justice Department did not prosecute Clinton for her misuse of private email. “If they’re going after me, why aren’t they going after Hillary?” he said. His defenders also like to point out that the infamous tarmac meeting between Bill Clinton and Attorney General Loretta Lynch, just days before the Justice Department decided not to move forward with charges, happened at the Phoenix airport just down the road. He won in 2012 by six points against Paul Penzone, a former sergeant in the Phoenix Police Department. Mitt Romney, who got 54.3 percent in Maricopa County, outperformed the sheriff by 70,000 votes. There are several similarities between Arpaio and Trump, starting with the fact that they share the same birthday. Sheriff Joe pointed out three times during our conversation that they were both born on Flag Day. 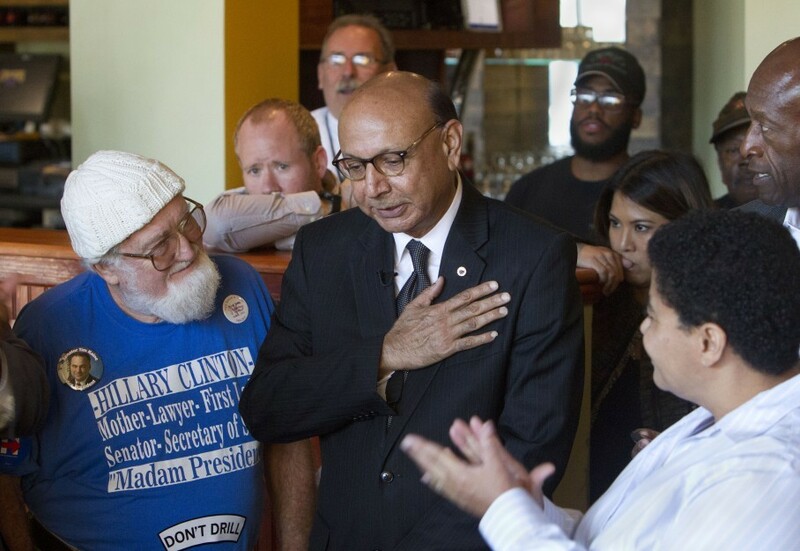 The two did not meet in person until Trump visited Phoenix for a rally in July 2015. “I was hooked to him from that day,” Arpaio said, adding that Donald has called his wife — who has cancer — to check on her five times. Just like Trump’s talk about Mexicans being rapists and drug dealers, Arpaio’s harsh rhetoric has galvanized many Latinos who have never before been engaged in the political process. 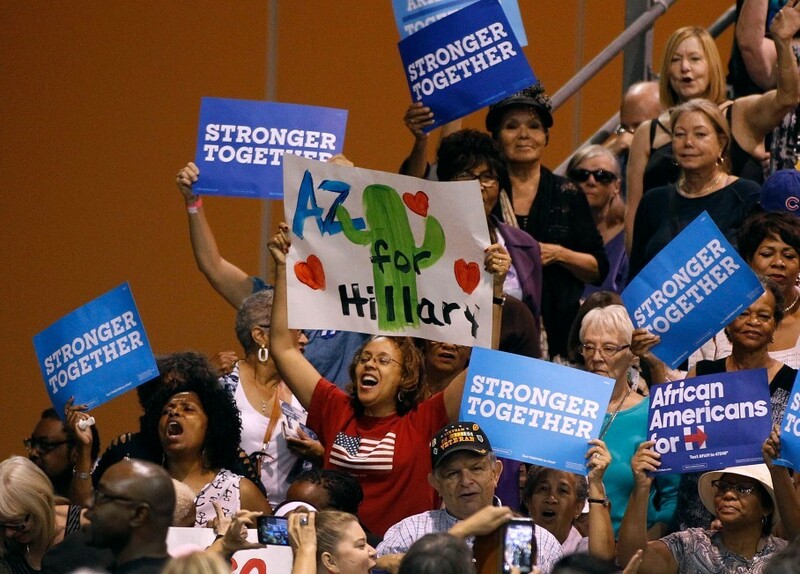 In Arizona, 150,000 new voters have registered since the start of the year. There is also a very active campaign on the ground called “Bazta Arpaio” (basta is Spanish for “enough”) that has been trying to mobilize low-propensity Hispanic voters. This past Saturday, 500 volunteers knocked on 13,000 doors to talk about the sheriff. They are focused on finding people who are registered to vote but did not cast ballots in 2012. Viridiana Hernandez, a community organizer who is on the board of People for United Justice, the group that is running the Bazta campaign, is also a "dreamer." The 25-year-old’s parents brought her to Phoenix from Mexico when she was 1, the same year Arpaio became sheriff. They remain undocumented. She became a legal resident last year. Because her two younger siblings were born in the United States, they are citizens and get to vote. She cannot. This just motivates her to work harder. Hernandez welcomed the late infusion of help from the Clinton campaign. “We’ve been fighting alone now for several years,” she said. Toppling Arpaio has become a true cause celebre on the left. During our interview, Arpaio opened a manila folder to show me a picture of Los Angeles Mayor Eric Garcetti in Phoenix campaigning against him. 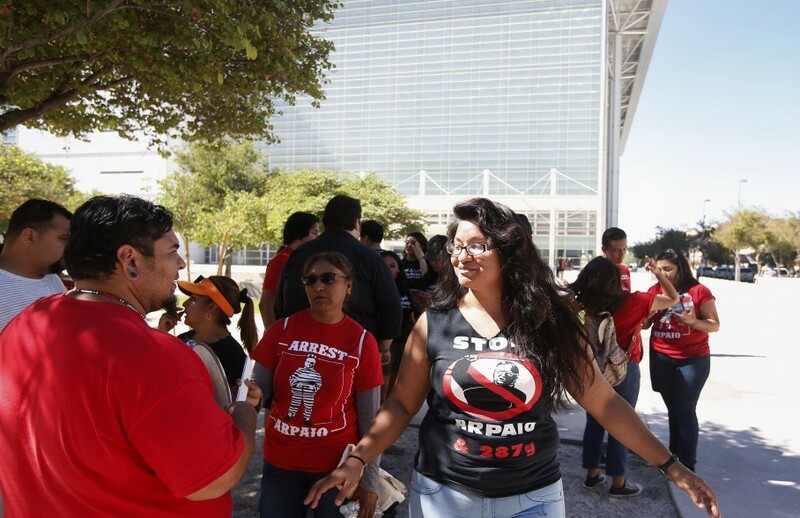 The mayor is wearing a red T-shirt that says ARREST ARPAIO. “I don’t think that’s professional,” he said. Democrats have seen Arizona as a long-term project. They’ve been building up infrastructure to eat away at the GOP registration advantage, with the hope that the state could become purple in 2020 or 2022. Strategists on both sides say the Trump Effect has accelerated the trend. Clinton allies also say that two propositions on the ballot this year could help drive turnout in a way that hurts Trump and Arpaio. One would legalize marijuana recreationally, which will draw out millennials. And the other would raise the minimum wage, which has prompted unions to invest money on get-out-the-vote efforts that they would typically not. Arpaio does not think Clinton can win the state this year. “No. No. No,” he said, adding that he easily won reelection when Bill Clinton carried Arizona 20 years ago. To be sure, even if Clinton wins and Arpaio loses, Arizona remains a red state and Maricopa is a Republican county for now. While Democrats dominate in Phoenix proper, Republicans run up the score in the sprawling suburbs. They will maintain a registration advantage for at least the next few years. Notably, the challenger is not promising wholesale rejection of some of the incumbent’s most controversial practices. Asked about Arpaio’s posse of armed volunteers, for example, Penzone replied: “The posse is a great tool, but it’s misused.… I am going to improve on it and expand on it.” He also declined to say whether he would shut down Arpaio’s “tent city” at the jail. 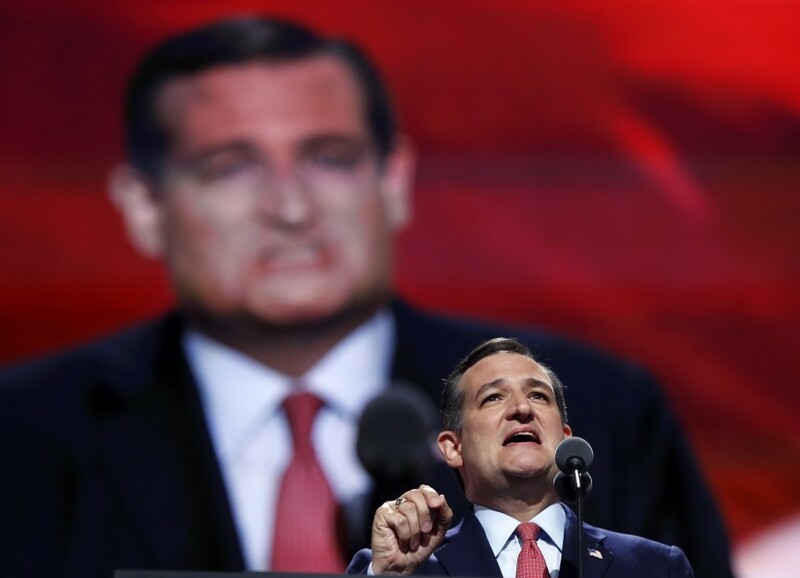 -- When Antonin Scalia died, Republicans said the next president should choose his replacement. Now that the next president is likely to be Clinton, Ted Cruz insists there is “precedent” for keeping his seat empty and allowing the Supreme Court to have fewer than nine justices. The Texas senator, angling to rehabilitate his tattered image on the right, looks like he's going to run his 2013 playbook all over again and appears to be suggesting that the blockade on Merrick Garland could extend past the presidential election. “You know, I think there will be plenty of time for debate on that issue,” Cruz said in Colorado, when asked whether a Republican-controlled Senate should hold votes on Clinton’s nominees. “There is certainly long historical precedent for a Supreme Court with fewer justices. I would note, just recently, that Justice Breyer observed that the vacancy is not impacting the ability of the court to do its job. That’s a debate that we are going to have.” Cruz’s remarks put him at odds with several colleagues on the Judiciary Committee, including chairman and fellow Republican Chuck Grassley. “If that new president happens to be Hillary, we can’t just simply stonewall,” Grassley said last week. 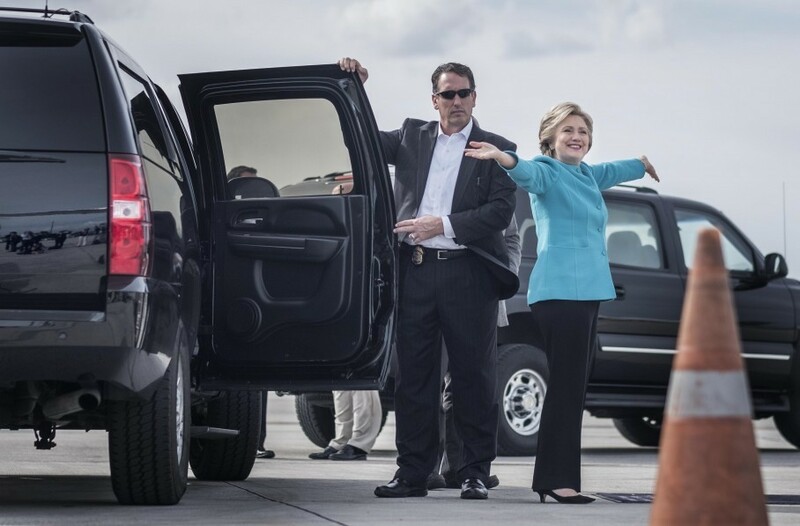 -- A brand new Washington Post-ABC News Tracking Poll shows Clinton with a six-point lead over Trump, 48 percent to 42 percent, with an electorate “fixated on the campaign” and nervous about their candidate losing. More than three in four voters said they are “very anxious” about the opposing candidate taking office, with 56 percent saying they feared a Clinton presidency and 61 percent saying the same of Trump. Voters are paying attention: 85 percent said they are absolutely certain to vote in this year’s election. Nearly identical percentages of Clinton and Trump supporters are reporting high attention to the race. Clinton inspires anxiety among at least half of voters in a variety of swing voting groups, as well as some who lean Democratic, including 67 percent of independents, 56 percent of Catholics, 52 percent of women, 53 percent of voters under age 40 and 55 percent of moderates. -- An NBC-WSJ-Marist survey finds Clinton ahead by nine points in New Hampshire (45-36), up from a two-point edge last month. Support for Republican Sen. Kelly Ayotte has waned: She is now tied with Democratic challenger Maggie Hassan (48-47), down eight points from last month. 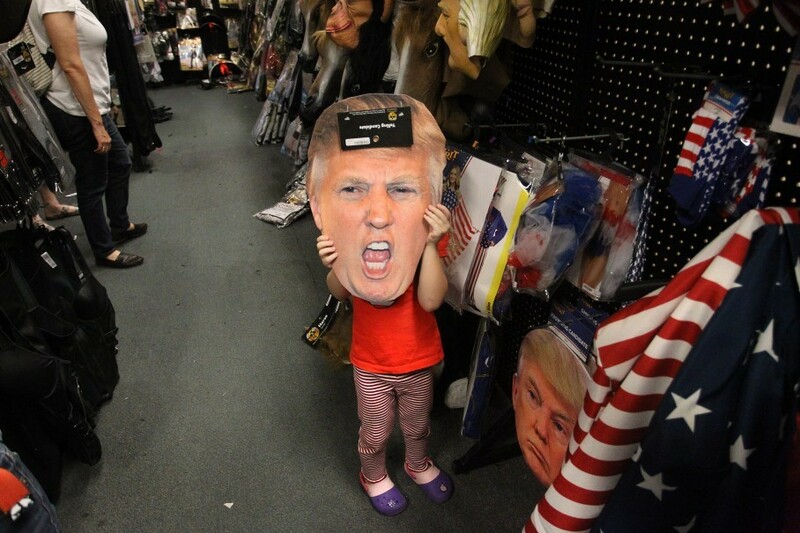 -- In Nevada, the same poll has Clinton and Trump deadlocked with 43 percent each. Trump held a one point-edge in September. Those who have already voted early in the state support Clinton by a 25-point margin (60-35) . Down-ballot, Republican Joe Heck holds a seven-point advantage over Catherine Cortez Masto (49-42) to replace Harry Reid. Heck held a two-point lead last month. -- A Fox News poll shows Clinton with a three-point advantage, which is within the poll’s margin of error. Trump’s up with independent voters by 13 points, up from seven points last week. -- A Suffolk University-USA Today national poll shows Clinton holding a nine-point lead over Trump (47-38). She was up seven points in late August. -- A Harvard Institute of Politics poll of 18-to-29-year olds shows Clinton leading Trump by 28 points among young likely voters in a four-way matchup (49-21) percent. “One short month ago, millennial voters were severely complicating [Clinton's] path to the presidency. 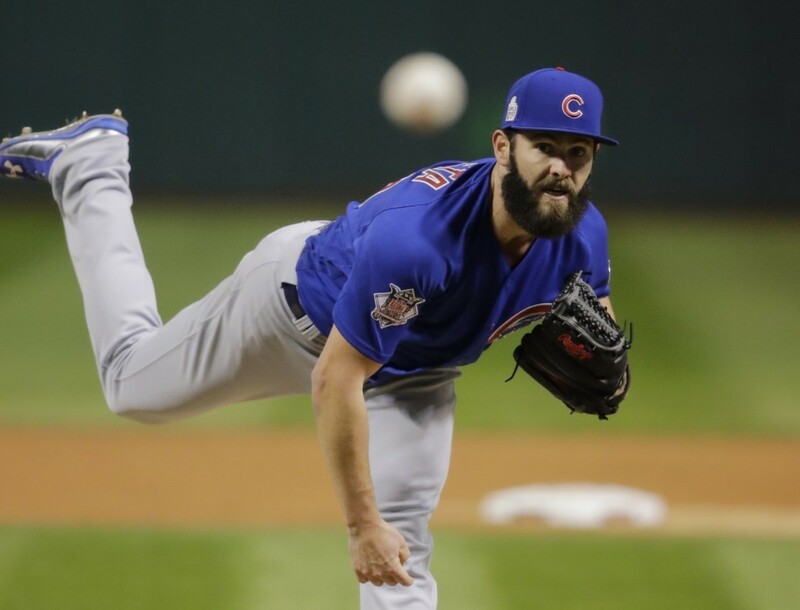 This liberal-leaning but highly nonpartisan demographic didn't like Clinton and was flirting heavily with going third-party,” The Post’s Aaron Blake writes. “But today, Clinton’s fates have changed — and she looks like she might even outperform Obama among young voters. 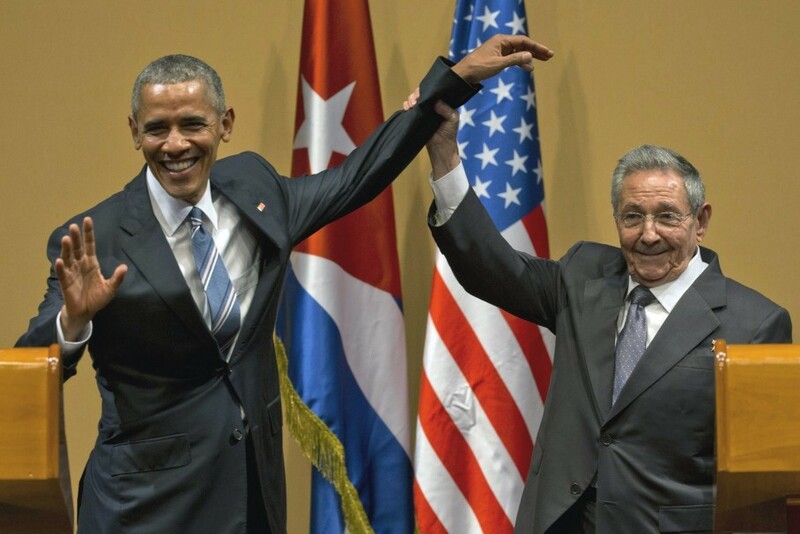 That 28-point margin is notably bigger than Obama's 23-point margin in 2012. (He held a 60-37 lead among this group.) And the poll also finds her favorable rating among all 18- to 29-year-olds is 40 percent, up from 31 percent in July and 37 percent in April. Trump's numbers, meanwhile, have remained horrible. Fully 76 percent of likely young voters don't like him; just 22 percent do." -- An AP review of campaign finance filings found that the Clinton campaign, the Democratic National Committee and Democratic parties in 12 states have more than three times as many paid employees as Trump's campaign and the main Republican organizations supporting him. Clinton and Democrats had about 4,900 people on payroll in September, while Trump and Republicans had about 1,500. "Despite Trump’s claim that he doesn’t believe the polls, his research team spends $100,000 a week on surveys and has sophisticated models that run more reliable election simulations. In other words, Trump’s staff knows he’s losing. Badly." "Trump’s team knows where its fate will be decided, and has built a model to weight and rank the states that the data team believes are most critical to get to 270 electoral votes: On Oct. 18 they rank as follows: Florida, Ohio, Pennsylvania, North Carolina, and Georgia." 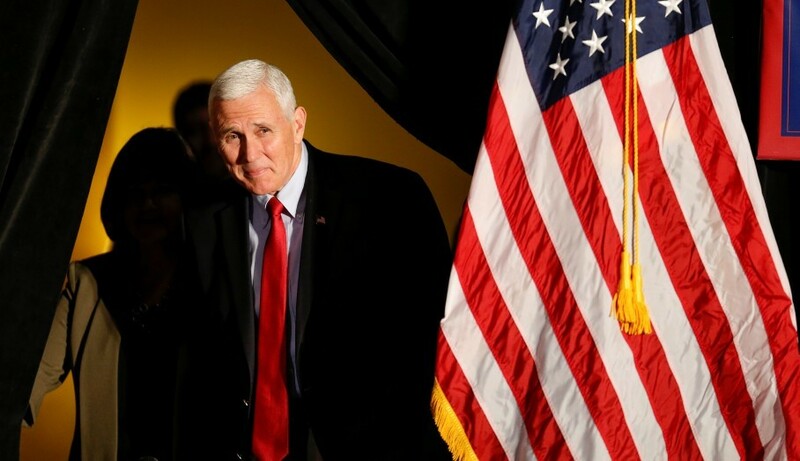 -- Mike Pence stumped for Trump in Utah, an unusual appearance 13 days before the election in what is traditionally one of the reddest states in the country. His appearance illustrated the deep rifts Trump’s nomination has sparked within the GOP amid rising concerns the state has evolved into a three-way dogfight between Trump, Clinton and independent Evan McMullin. Weigel has been on the ground and has a deep look at the state of play: “Let’s get it done Utah, let’s bring it home,” he said at the rally, which was attended by only one elected Utah GOP leader, Speaker of the House Greg Hughes. Pence also took a shot at McMullin. “There’s only two people on the ballot that you’re going to cast here in Utah that have any chance of being president,” he said, referring to the two major-party nominees, Trump and Clinton." Just in: Hillary Clinton will hold her election night event at Javits Center in Manhattan. -- A growing number of prominent Republican women are worried that, as members of their male-dominated party step up to defend Trump against sexual assault accusations, they are causing “irreparable damage” to the GOP’s relationship with female voters. From Jenna Johnson and Karen Tumulty: “This division within the Republican Party comes as polls suggest the nation is on the verge of electing its first female president even as misogyny remains a part of American life and culture. Ironically, it is Trump’s candidacy rather than [Clinton’s] that has brought sexism to the forefront of the political debate." "GOP pollster Christine Matthews said that Democrats no longer have to push a “war on women” narrative because it’s playing out on its own thanks to Trump — and comments from like-minded surrogates." -- Hillary will capitalize. She's campaigning tomorrow in Cedar Rapids and Des Moines with the leaders of three prominent women’s groups: Planned Parenthood Action Fund President Cecile Richards, Emily's List President Stephanie Schriock and NARAL Pro-Choice America President Ilyse Hogue. -- Trump addressed the African American community in Charlotte, pledging what he called "a new deal for black America” as he sought to make 11th-hour inroads with the minority bloc. From Sean Sullivan, Ed O'Keefe and Katie Zezima: “In a scripted speech heavy on policy specifics, he laid out a plan that he said is built on setting up better schools, lowering crime in inner cities and creating more high-paying jobs. He told the largely white audience that ‘massive numbers’ of black Americans have been ignored and left behind, [blaming] Democrats and Clinton for the ‘crippling crime and total violence’ in the nation’s inner cities. 'I will be your greatest champion,' Trump vowed. ... He continued to falsely assert the national murder rate is at its highest rate in 45 years, saying certain inner cities are 'more dangerous than the war zones'.... Trump also said black communities have had civil rights violated by illegal immigration, saying 'no group has been hurt more' by decades of unlawful migrants." Trump’s remarks come as his candidacy barely registers with African American voters: in the ABC tracking poll, he holds 3 percent to Clinton’s 82 percent among this constituency. 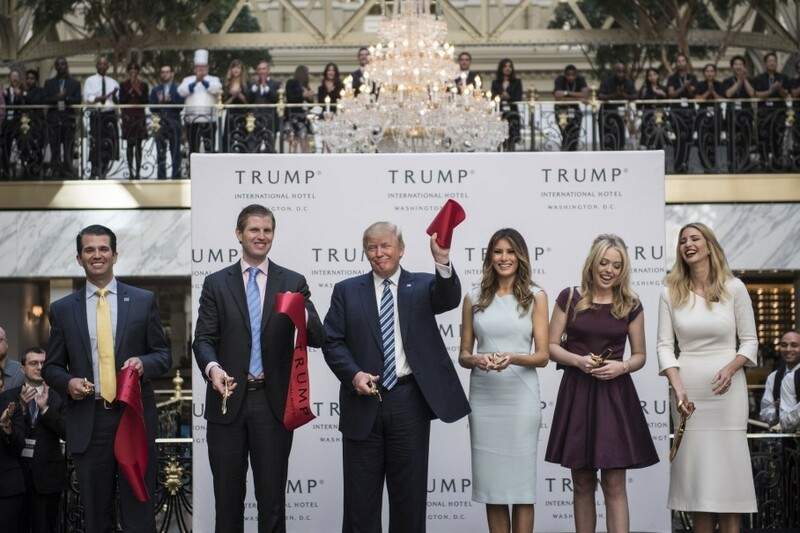 -- Trump formally cut the ribbon on his $212 million Washington, D.C. hotel, capitalizing once again on his election-year prominence to promote one of his businesses. From Jonathan O'Connell: But outside the doors of his new Pennsylvania Avenue installation, the Republican nominee was less well-received. “Dozens of chanting protesters lined the sidewalk … where Trump’s company originally intended to hold the event. The Trumps instead moved the event inside the hotel’s gold-trimmed ballroom, where they welcomed some 200 guests, more than three dozen video cameras and a gaggle of reporters.” Several top local officials, mostly Democrats, who celebrated the project’s launch two years ago were absent. -- “From a Nat Geo cover to a mug shot: The sad story of the green-eyed ‘Afghan Girl,’” by Max Bearak: “Sharbat Gula's haunting green eyes were immortalized on the cover of National Geographic in 1985. You might have seen her while sitting at a dentist's office, or while bending over to pick up your mail, but whenever it was, it was hard to pull your eyes away. Her penetrating stare seemed to encompass the pain of Afghanistan's civil war.… She was just 12 when she was photographed by Steve McCurry in a camp for displaced people in Peshawar, the biggest city along Pakistan's frontier with Afghanistan. 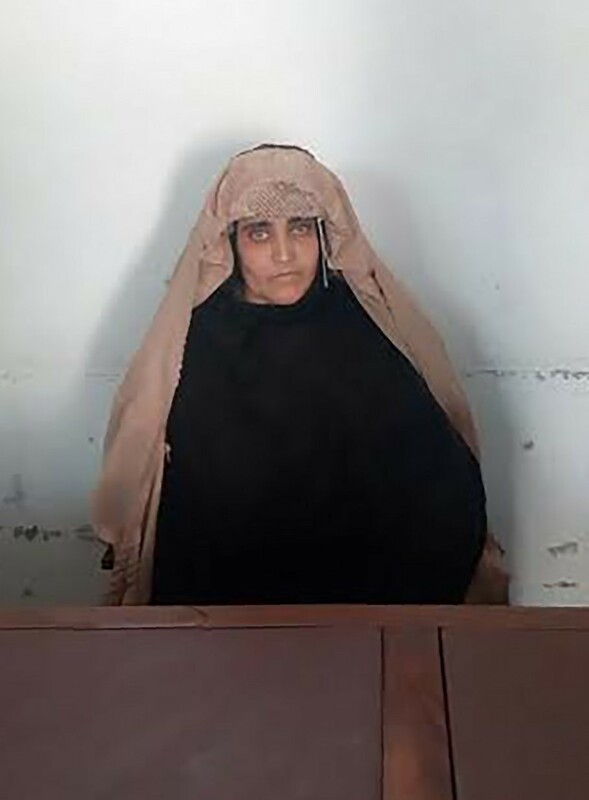 Now in her 40s, she is still in Peshawar, but as of this week, she is in police custody … on charges that she possessed a fake Pakistani national identification card. They had been investigating her for years, and last year Pakistani media published the picture attached to her allegedly fake identification card. Gula's arduous life now has two famous photos as its bookends, the magazine cover and the mug shot. They tell a sad story of a woman at the mercy of war." Spotted in Miami airport: Jeb! Bush alone, schlepping his own bag down the D Gates auto-walk. On the campaign trail: Clinton rallies supporters with Michelle Obama in Winston Salem, N.C.; Kaine is in Cleveland and Columbus, Ohio. Trump campaigns in Springfield, Toledo and Geneva, Ohio; Pence stops in Omaha, Neb. and Fort Dodge, Iowa. At the White House: Obama and Biden meet for lunch. Later, Obama participates in a conference call with Affordable Care Act advocates and stakeholders. In the evening, Biden speaks at the Oxi Day Celebration at the U.S. Institute of Peace. For the second day in a row, Trump suggested that he would like to physically fight with Joe Biden. “I dream about that kind of stuff," he said. -- The Capitals lost to the Oilers 4-1. -- Maryland Senate candidates Chris Van Hollen and state Del. Kathy Szeliga debated in Baltimore, sparring over health care, the economy and whether a woman should succeed retiring outgoing Sen. Barbara A. Mikulski. From Jenna Portnoy: Each candidate excoriated the presidential nominees of their opponent’s party, with Van Hollen calling Trump “unqualified” and Szeliga slamming Clinton’ use of a private email server. Fireworks erupted when Green Party nominee Margaret Flowers planted herself on stage and demanded to be included in the event (the police escorted her from the building). “When the action got underway, Szeliga and Van Hollen struck starkly different tones[:] Szeliga, the minority whip of the Maryland House of Delegates, peppered her answers with personal details, including her mom’s beehive hairdo and cat eye glasses. Van Hollen, a state lawmaker from Montgomery County before being elected to the U.S. House in 2002, demonstrated the dispassionate demeanor of a sitting congressman well-versed in public policy.” Van Hollen is heavily favored in the race, with recent polls showing him with a 30 point lead. The Onion released a series of video interviews with American voters, including the One-Percenter, the Millennial and the Immigrant. Watch them here.